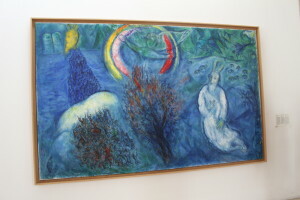 On a hillside in Nice, surrounded by a lush mediterranean garden lies the museum dedicated to the painter Marc Chagall. This is the first museum built in France to permanently display art of a living artist. 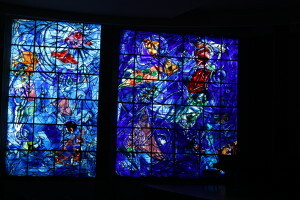 The museum was built with the cooperation and involvement of the artist. 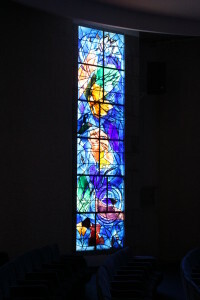 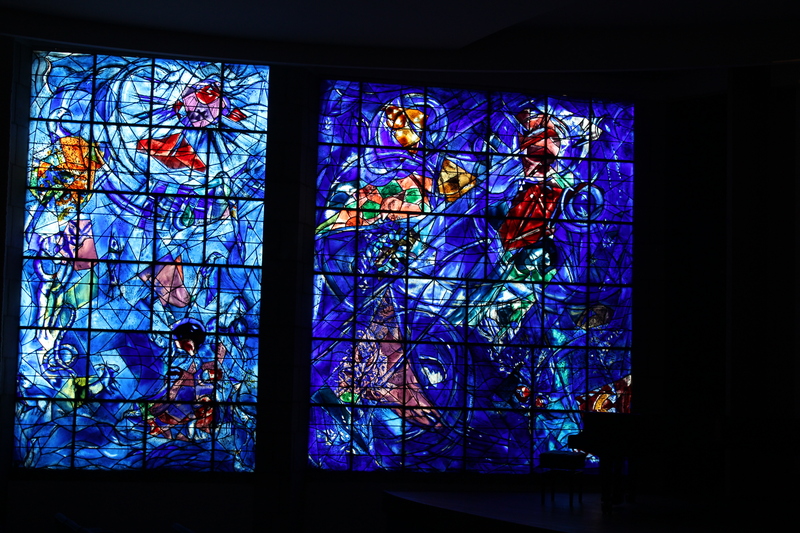 The permanent art works on display depicts images from the bible. The twentieth century art as a rule is overshadowed by a lack of religion and spirituality. 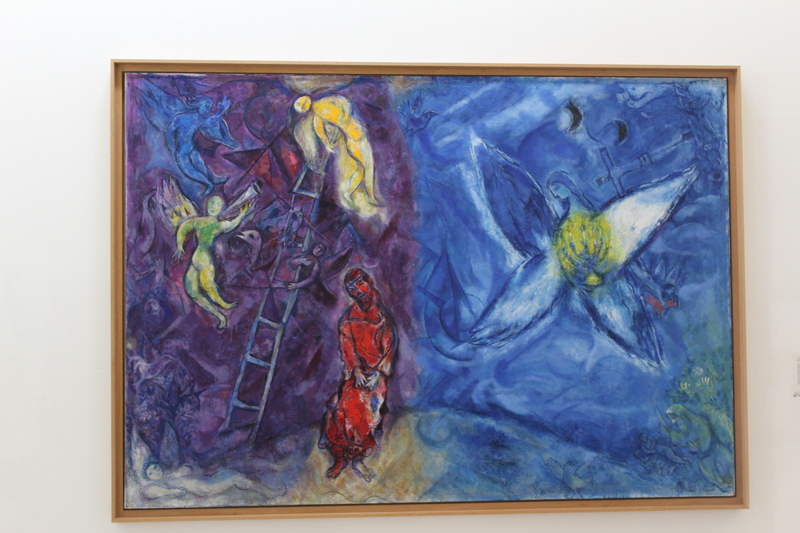 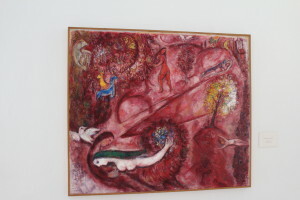 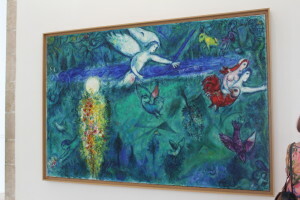 Therefore this museum is like a breath of fresh air as it is permeated by Chagall’s childlike faith and spirituality. 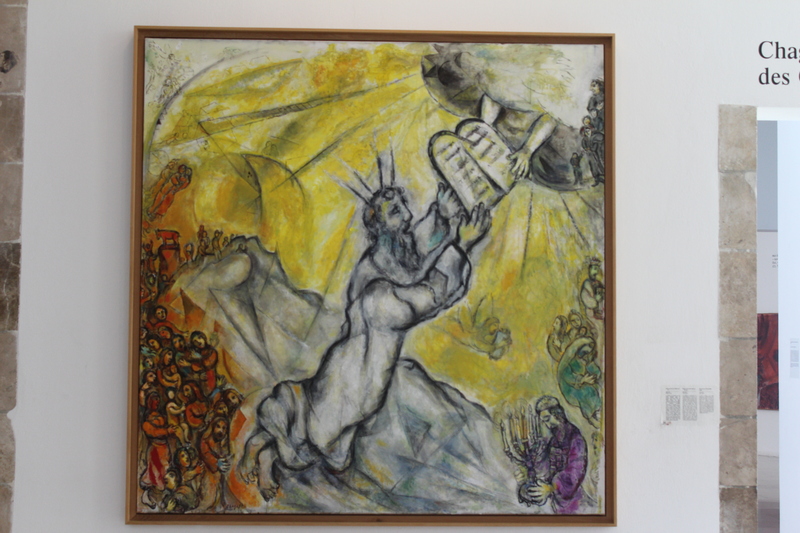 Twelve huge paintings from Genesis and Exodus form the major part of the gallery, beautifully exhibited in a well laid out gallery where every wall was designed to display a specific painting. 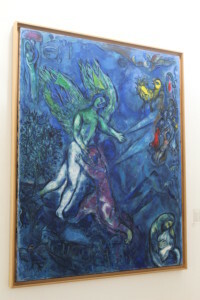 The artists vibrant use of colour in his paintings come to life in the good lighting of the museum. 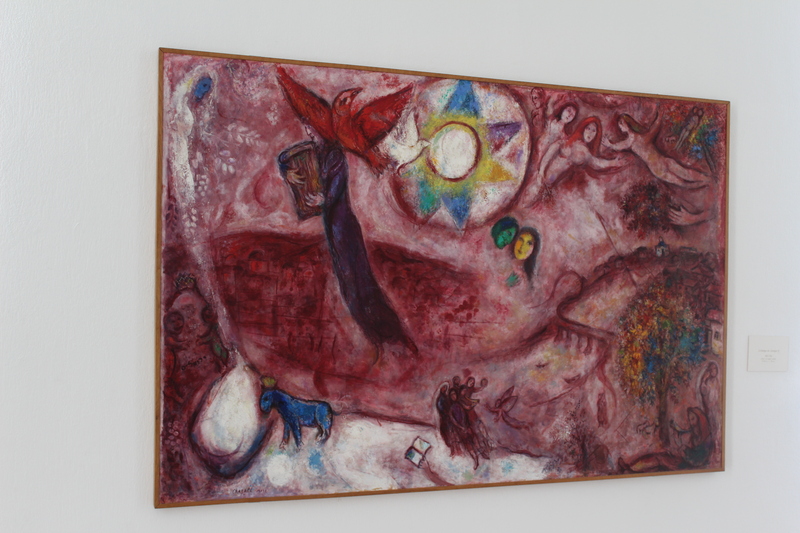 A room dedicated to the poetry of the bible book: Song of songs by Solomen displays art that celebrates Love. 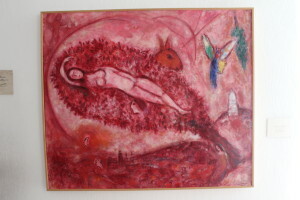 All paintings is in the colour of love, shades of red. 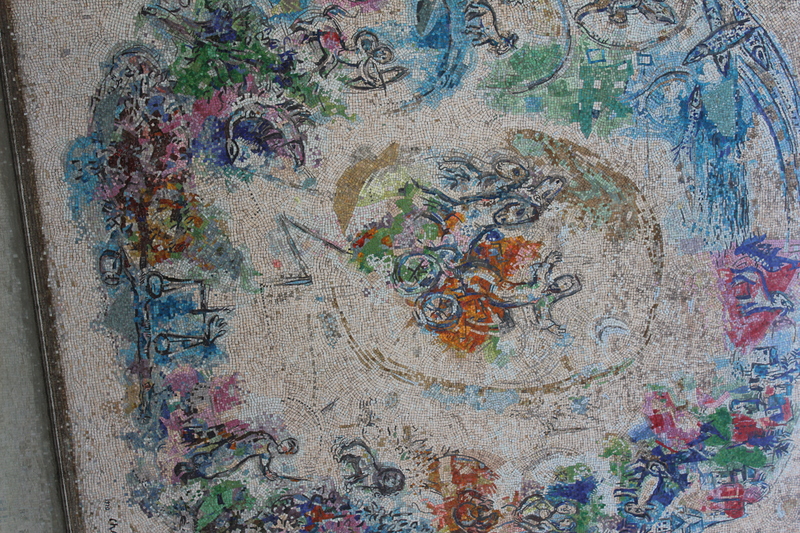 A huge mural outside the museum tells the story of Elijah. 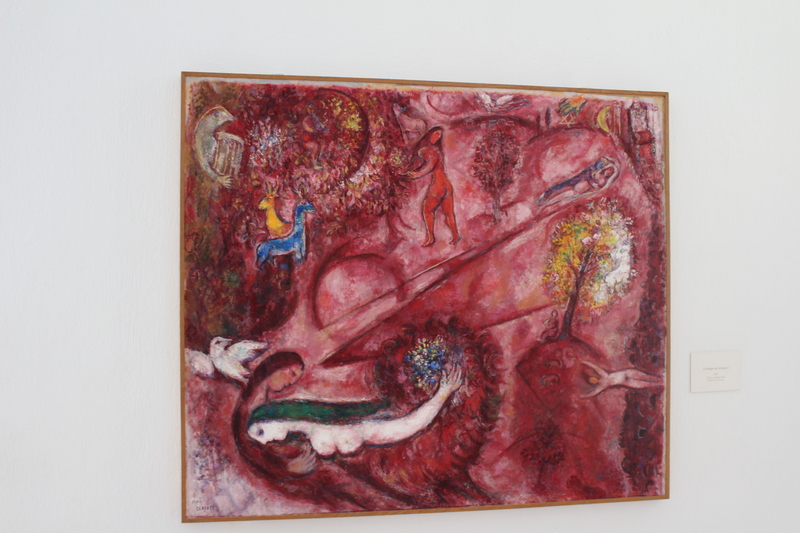 The Marc Chagall Museum is the perfect space to spend a day.